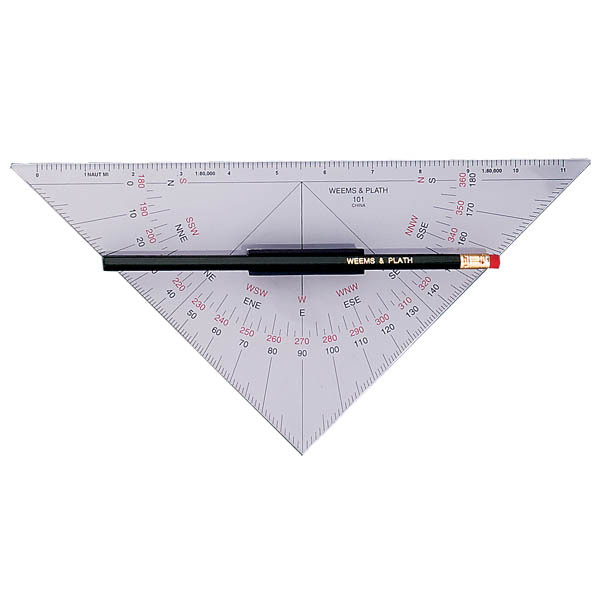 Often used in a combination of two, our Protractor Triangle with Handle provides a straightforward method of plotting and performing chart work. 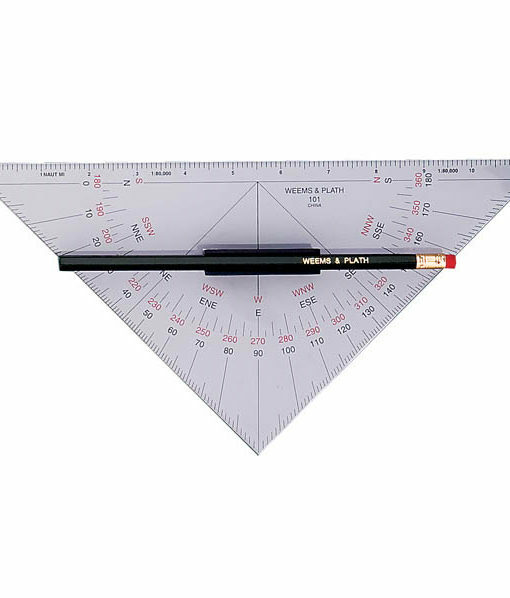 Each triangle is inscribed with contrast enhancing colors (red & black), plus a handle that holds a pencil, making it convenient and easy to use. 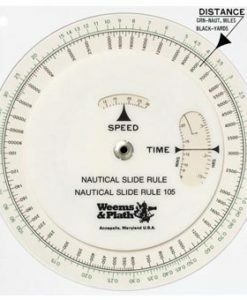 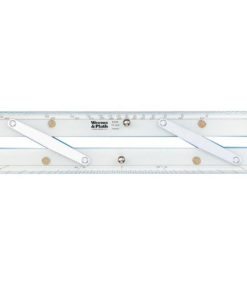 The protractor scale on the triangle can aid in drawing a bearing line on a chart, and the 90° angle is helpful when determining lines of position. 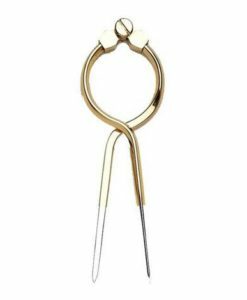 When used in pairs, the second triangle acts as an extension, and the pair together are a reliable means to transfer a directional line on a chart with no slippage.